from The bustle of Seoul for artist Jin Lee. fine art, specializing In ceramic sculpture. she was also a keen Oil painter. “kind of fell in Love with it”. “I thought, ‘I’m going to do it one day’. It took a long Journey,” she said. Planned to open a studio in the city. 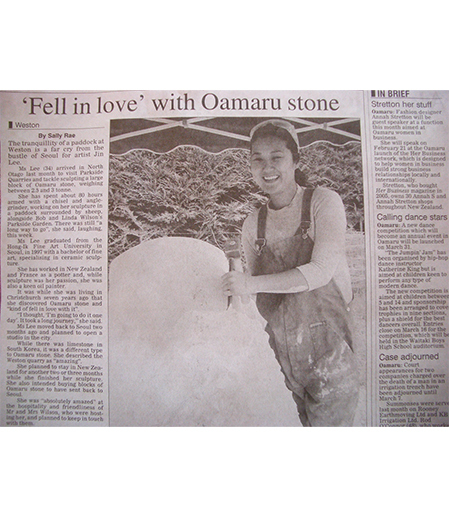 it was a Different type to Oamaru stone. She described the Weston quarry as “amazing”. to Have sent back to Seoul. And planned to keep in touch with them.